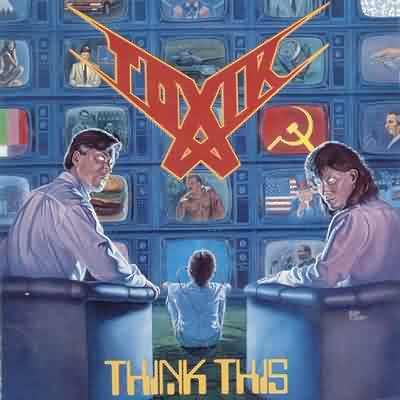 Toxik is a thrash metal group formed in 1985 by Joshua Christian and Lee Erwin of Peekskill, New York. The band's style was comprised of a complex thrash metal base mixed with progressive influences. By the end of 1992 the band had broken up but not before reshaping what was to be termed "progressive thrash". Bands like Watchtower, Fates Warning and King Diamond had all approached the point of actually becoming mainstream. Toxik was in that group and had an equal commercial potential or greater but before they had that chance the industry changed. 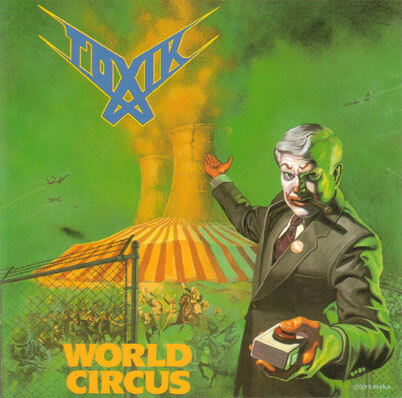 Toxik, originally called Tokyo line up, consisted of Josh Christian (guitar), Lee Erwin (bass), Sal Dadabo (drums), and Michael Sanders (vocals). 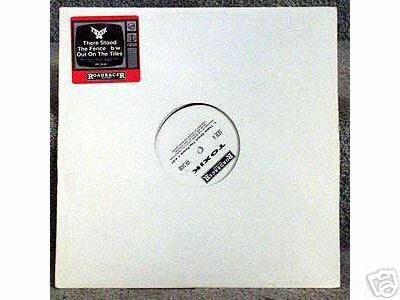 Due to legal threats by another group with the name Tokyo, they changed over to Toxik in 1985. Shortly there after Lee Erwin left the group sighting personal reasons and was replaced by Brian Bonini who stayed with the band until they broke up. Tad Leger was a last minute replacement for Sal Dadabo. Some time later Sal had been offered a touring deal with Twisted Sister. With Tad and Brian in place they recorded the Bands debut offering World Circus (RoadRacer 1987) at the now famous Morrisound Studio's in Tampa, Florida with Jim and Tom Morris Producing. The album was well received by industry and fans alike and was voted CMJ's best new Metal album of the year. The following year the band toured Europe and the United States receiving mixed reviews. Prior to putting out their debut on (RoadRacer) the band were offered a slot on the Metal Blade "Metal Massacre" Series (No#9) with the track: "Wasteland". While the groups music was highly regarded especially Josh Christians technical guitar playing, the vocals were a hit and miss with fans. On the second release Think This (RoadRacer 1989) Mike Sanders had been replaced by Charles Sabin who unlike Sanders had a very versatile vocal range. The group also added guitarist John Donnely for a fuller live sound. Think This received even more acclaim than World Circus and was followed by a European Tour and a Tour of the States with label mates King Diamond. In 1992 the group disbanded. Although Toxik never broke through to the masses in the United States they enjoyed a very strong following in Europe and Japan. Toxik officially re-united in 2007. On February 28 2007, Displeased Records will be rereleasing both albums, including bonus tracks. Both albums have already been re-released in a digipack through the record label Metal Mind.